Reflective Phosphorescent Tapes are ideal as guides for low light areas. 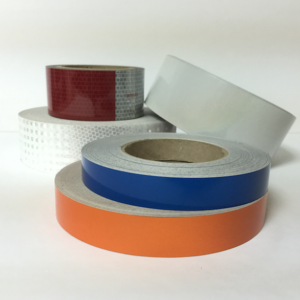 Can-Do offers a full range of reflective tape, including multi-purpose, utility-grade tapes for signage and other applications and conspicuity tapes for semi-trailer and vehicle safety. Many of our reflective tapes are available in both stock rolls or custom widths and lengths to fit your application perfectly.